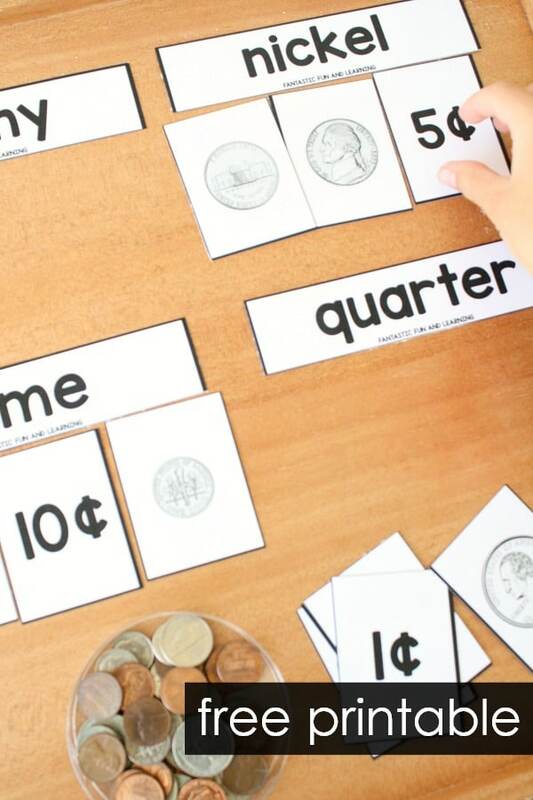 As kids begin to show an interest in money and are able to start understanding its symbolic nature, it’s helpful to expose them to various activities and opportunities for hands-on play. Things like keeping a piggy bank, identifying coins in change you get from or store (or find in the couch! ), and using real money can be helpful. 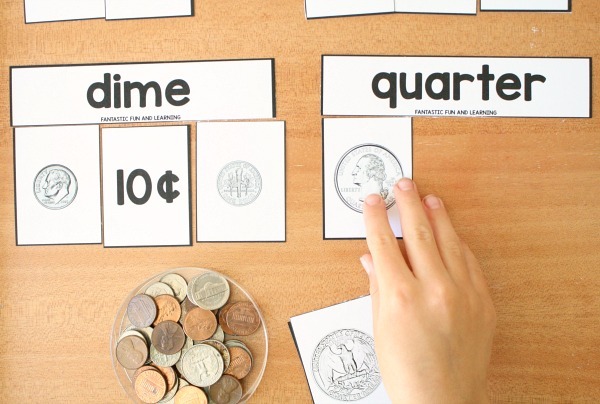 Using hands-on printables can also support kids as they are learning to identify the names and values of coins. 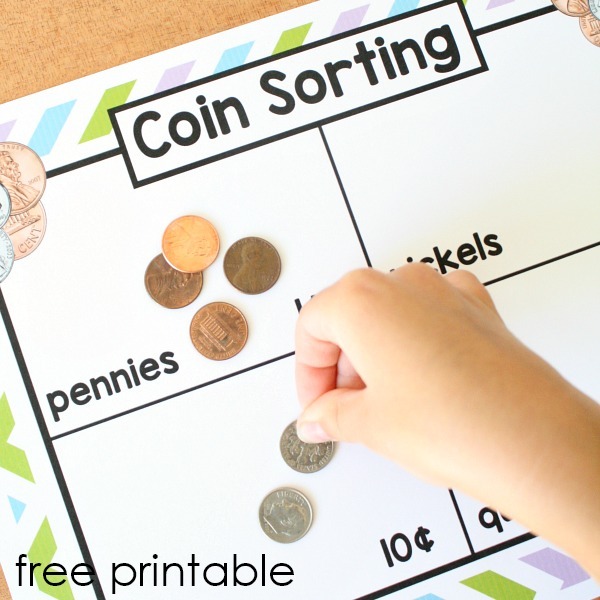 Use this free printable set of coin sorting mats and coin identification puzzles in kindergarten and first grade to help kids begin learning about coins. 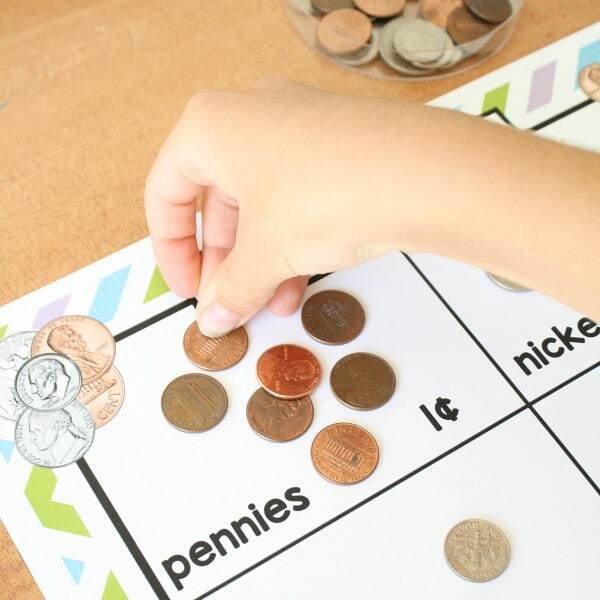 We started first by gathering some coins and the single page coin sorting mat. You can use real coins like we did, or substitute with plastic coins if you prefer. 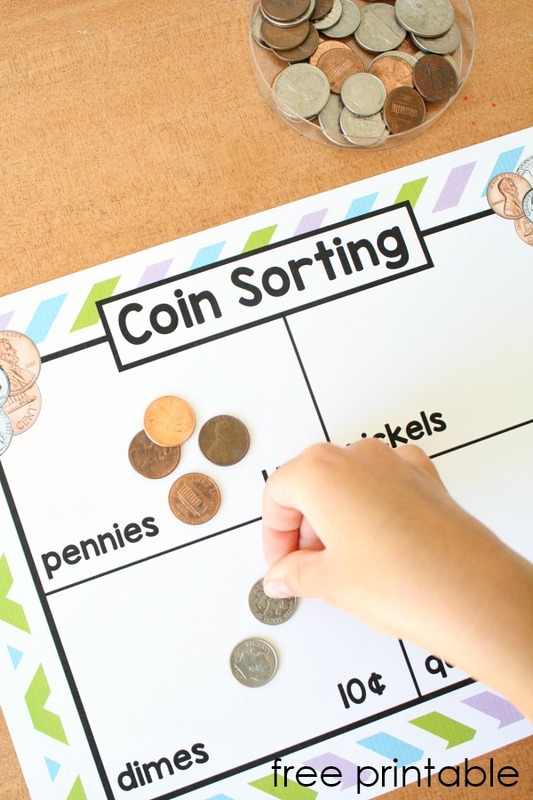 There are three variations of the coin sorting mat in the free printable. Choose that one that you prefer. 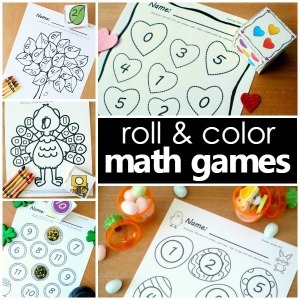 You can set this activity up as an independent choice option at home, an after school homework activity, an early finisher activity in the classroom, or a math center option. 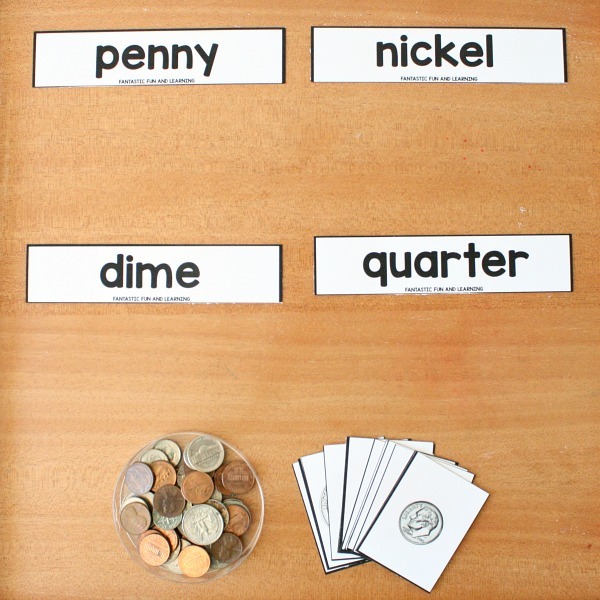 After kids are able to sort coins and identify the name of each one, you can start discussing the value of each coin. 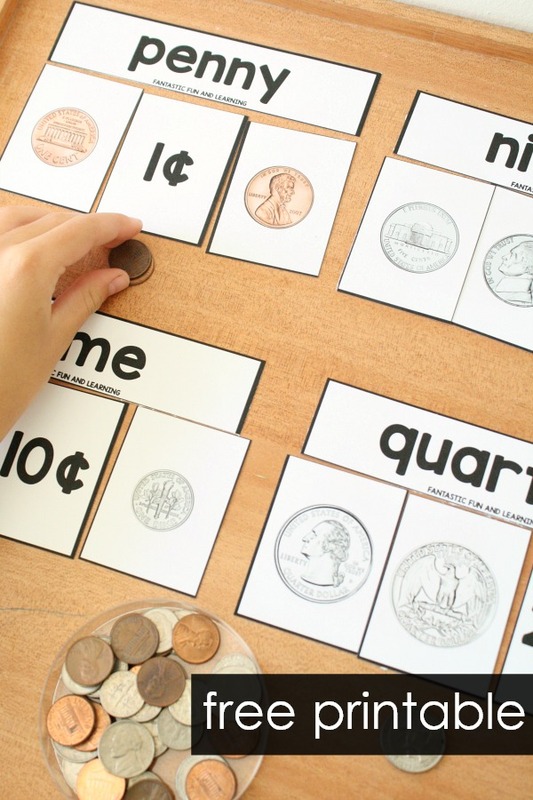 We used these coin identification puzzles to help with this aspect. With these puzzzles kids match the front of the coin, the back of the coin, and the value to the name of the coin. Quick Tip: Add a colored dot or matching sticker on the back of each complete puzzle so that kids can self-check their work when they finish the puzzles. 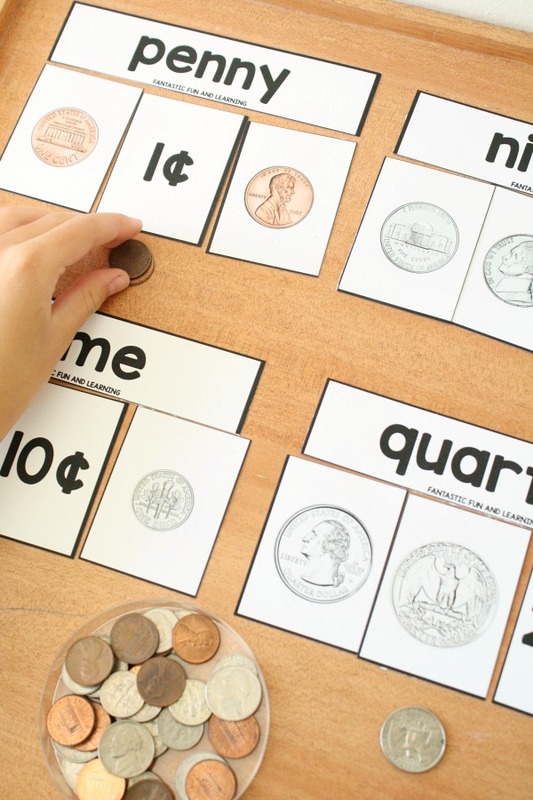 Extend the activity by then having kids match with coins from their original activity for even more practice and the opportunity to include coins that have slightly different designs. 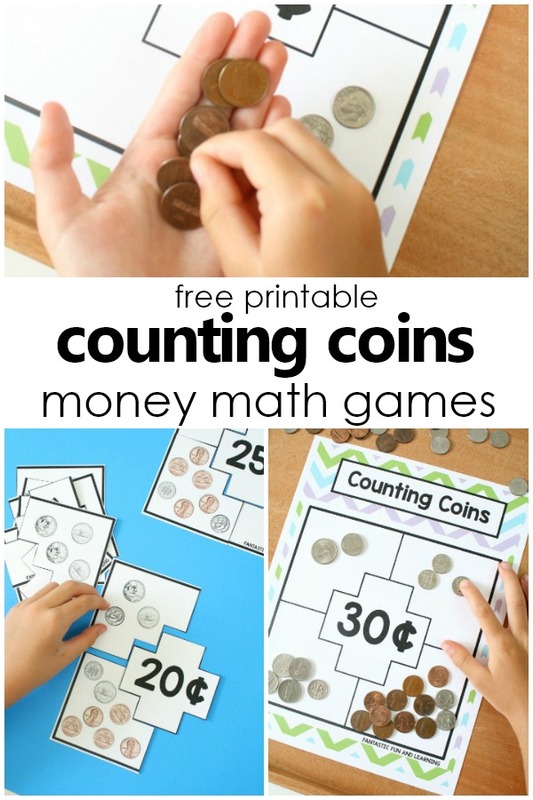 As kids are ready to begin countings sets of coins, grab our free printable counting coins mats and puzzles. I tried doing the e-mail thing, no printable. I don’t think you can actually get any of these templates, unfortunately. When you enter your email address into the form the printable is automatically emailed to you most often within seconds. I see that you are using a Gmail account. For some reason Gmail likes to put the download emails in the Promotions tab (or perhaps check spam or junk folders if you have those), so be sure to check there. I’m trying to download this amazing package for my SPED class, BUT it won’t download. I have tried signing up for it 3 times and still nothing. PLEASE help. 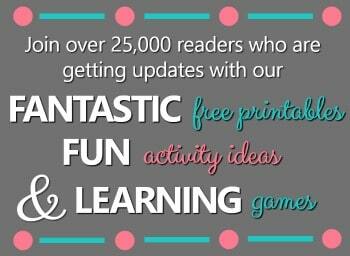 I can’t get the printables either. I only got the welcome letter. When you enter your email address into the form the printable is automatically emailed to you most often within seconds. Be sure to check any spam folders your email provider has in place. Yahoo is also notorious for blocking emails. It may be necessary to try a different email address if the emails are not getting through. The link is not working. I signed up to receive the free cut and paste but it did not work. I am having a hard time getting this freebie. I entered my email and it said it was sending it to my email, but I only received an info email with a link to all of the printables. However, when I click the coin one, it brings me back to this page with no download. Is it possible to get this? Would love to use it for my summer school class! Thanks! There is sometimes a slight delay. Hopefully the coin download has reached you by now. Also be sure to check your spam folder. I heard that there was a temporary glitch with the download company we use on the date you posted this. It is working properly now. Sorry for the delay!